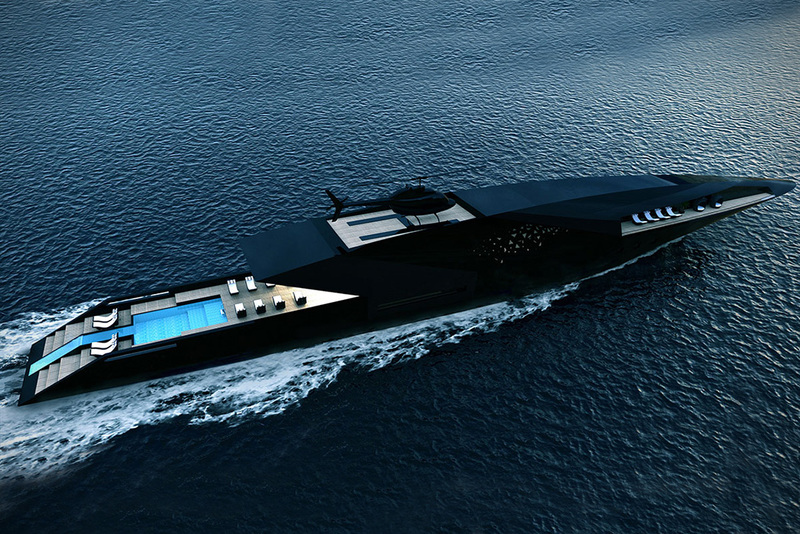 HomeBlogVariousBlack Swan Superyacht by Timur Bozca. Featuring a pointed tip, the vessel’s dramatic design was inspired by the shape of an arrow. The sleek and angular shape of the vessel is further enhanced by triangular windows of various sizes allowing light to fill the interior. 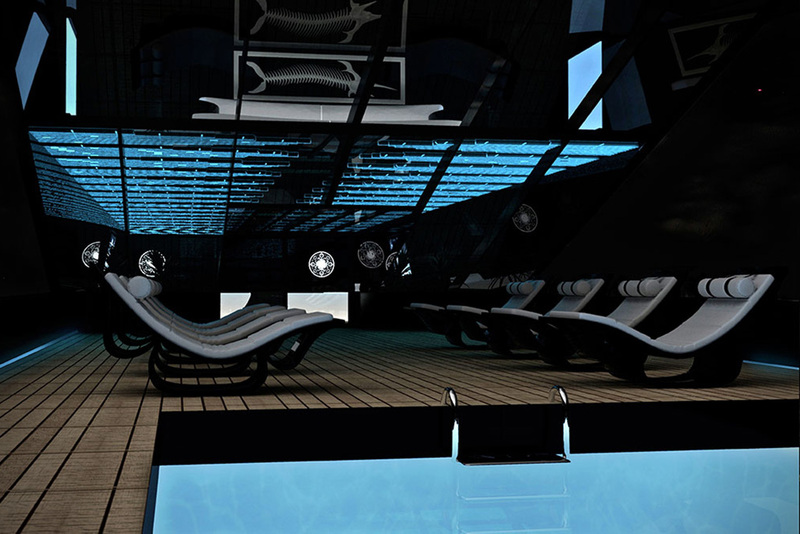 With this captivating design, Bozca aimed to redefine style and luxury, and give the owner a striking vessel equipped with state-of-the-art technology and high-end amenities. In order to move swiftly across the seas and enhance the travel experience of the passengers the designer planned that the vessel would need to be equipped with four engines producing a staggering 23.172 horsepower in total. 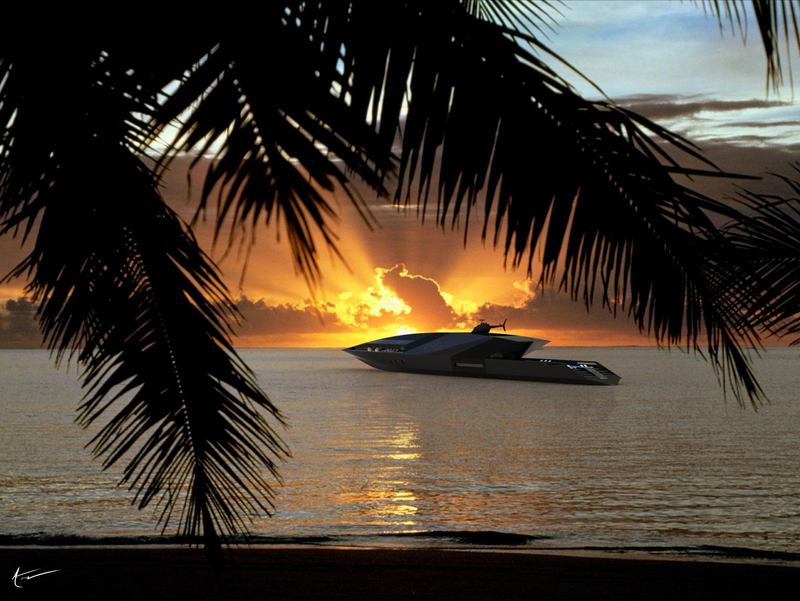 This kind of power would allow the Black Swan Superyacht to travel at a cruising speed of around 20 knots and achieve a top speed of 28 knots. To keep the enormous engines running smoothly, the fuel capacity is a staggering 183.000 liters. 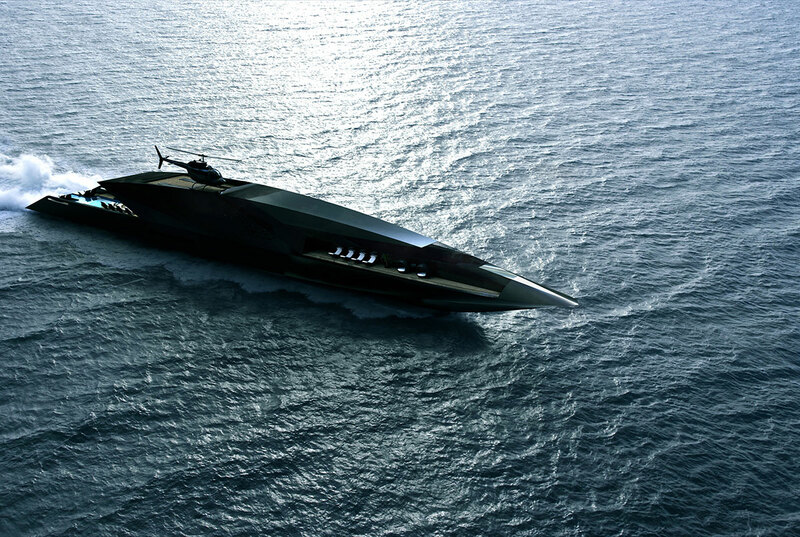 This sinister looking, yet awesomely elegant superyacht would be the ideal center of operations for a big screen baddie in a James Bond film. For example in the James Bond film Tomorrow Never Dies, media mogul and super villain Elliot Carver cruised around in an effective, but very unattractive stealth-boat. 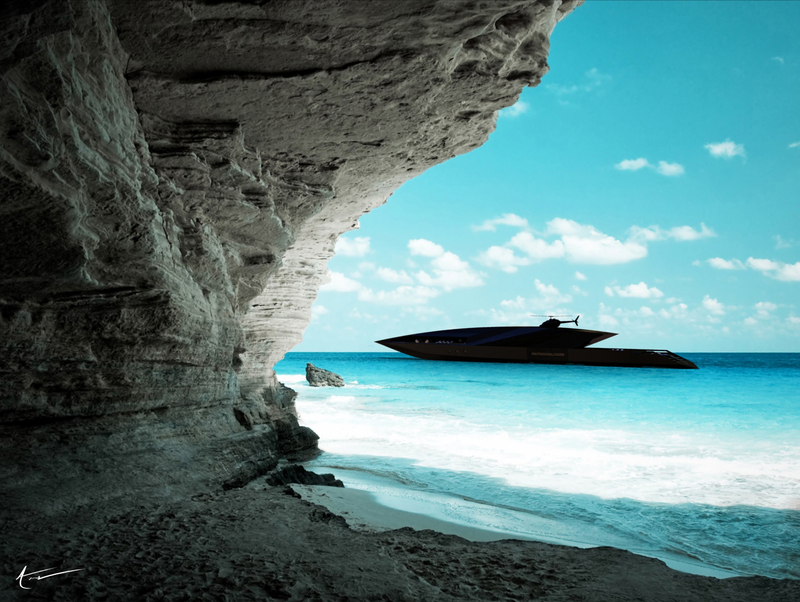 The Black Swan Superyacht would certainly fit the role a lot better, but apparently the iconic villain wasn’t aware of Timur Bozca‘s design prowess. 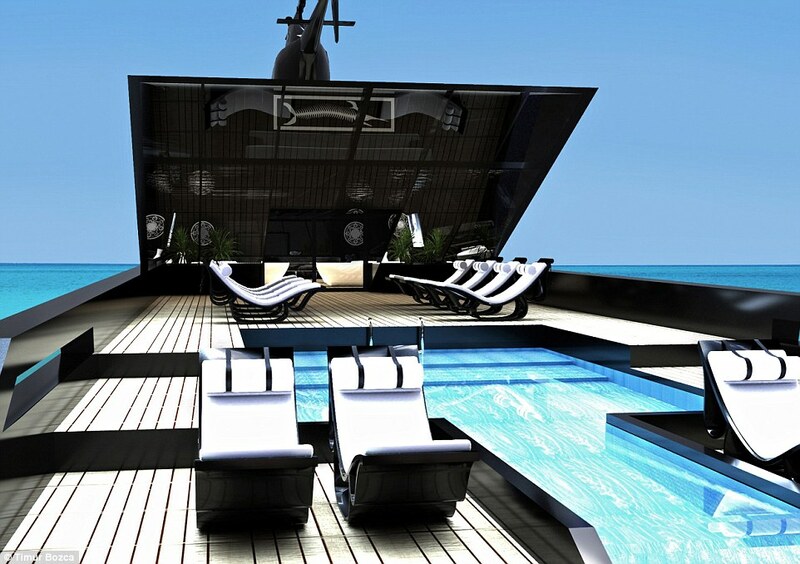 Enjoy selected renderings of the dramatic looking Black Swan Superyacht in the gallery below.